Michael Black struggles to master a power forced upon him after the callous murder of his mother. She left him in possession of a mysterious stone, a trace, which contains powers more volatile and dangerous than anything he’s ever imagined. The Somnibus, vile creatures previously restricted to tormenting Michael in his dreams, have found a way to send one of their own into the physical world. Now, they search for six powerful stones that will unlock their rotting prison, releasing them to unleash hell on the living as retribution for their imprisonment. Michael's trace is the last piece of the puzzle. Lost in a maze of death and betrayal, Michael finds himself alone and fighting not only to save his own life, and that of the woman he loves, but the last man standing in a desperate battle to preserve the fate of mankind. 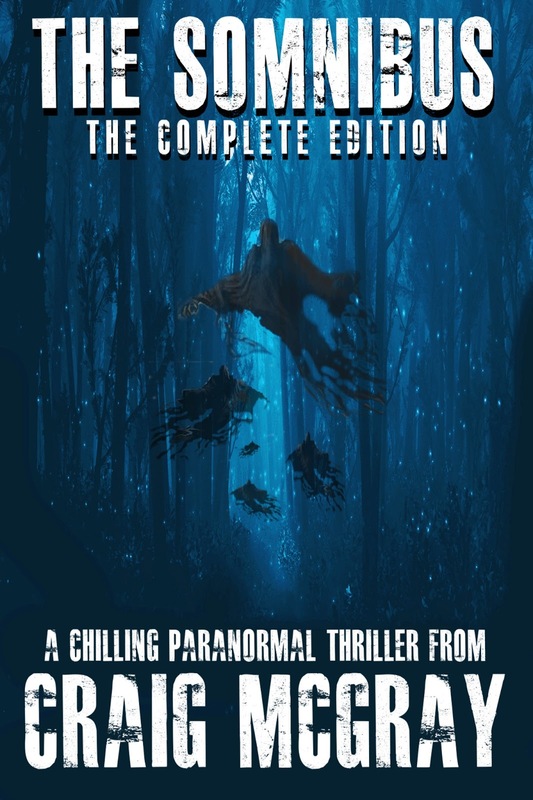 Craig McGray lives on the east coast of Florida with his wife and two daughters.His newest release, The Somnibus: The Complete Edition, includes both Books I and II of the paranormal thriller, The Somnibus. His stories range from dark horror to paranormal, and he's currently working on a dystopian novel. In addition to spending time with his family, Craig enjoys triathlon and endurance training. Many of his thoughts and story ideas come to him during those quiet times while running, biking, or swimming. You can follow Craig on Twitter and Goodreads.You can also visit his author pages at The Independent Author Network and Amazon. Follow his blog My Adventures in Writing.